Dainty, delectable, and oh so fancy. Is there any dessert prettier than a macaron? The best thing about this bite-sized French cookie is that it tastes just as good as it looks. On World Macaron Day (“Le Jour du Macaron”) this March 23, prepare to indulge yourself with a colorful variety of crunchy-chewy macaron confections at Bizu Patisserie. 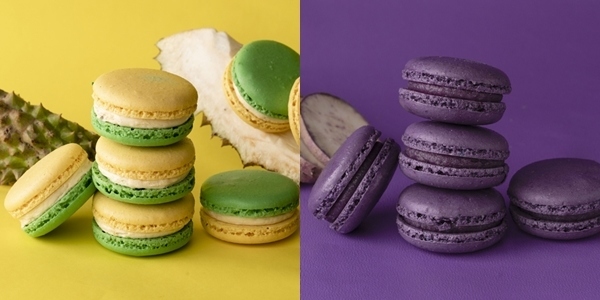 The Macaron Festival is when Bizu showcases its skillfully re-imagined French macarons with the unique flavor profiles of the Philippines: Malagos Tsokolate (Malagos Chocolate), Ube, Durian, and Calamansi. Foodies are familiar with the award-winning Malagos chocolate from Davao, which is sourced from heirloom cacao. 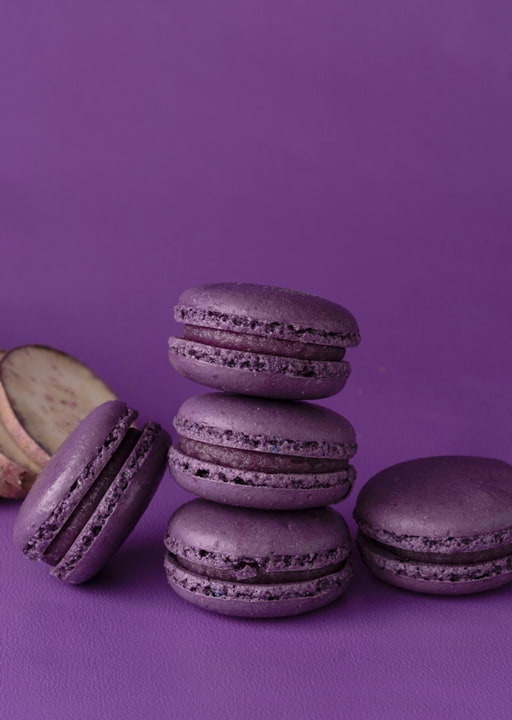 The Bizu macaron variant oozes with fine quality Malagos dark chocolate ganache, with a dark cocoa percentage of 65%. Similarly, the other macaron varieties are also infused with naturally grown local flavors: the distinctive aroma and taste of fresh durian, also from Davao; the rich earthiness of purple yam from Bohol; and the delicately nuanced calamansi found in Oriental Mindoro and other parts of the archipelago. You can travel all over the country by simply taking a bite of a Bizu macaron. 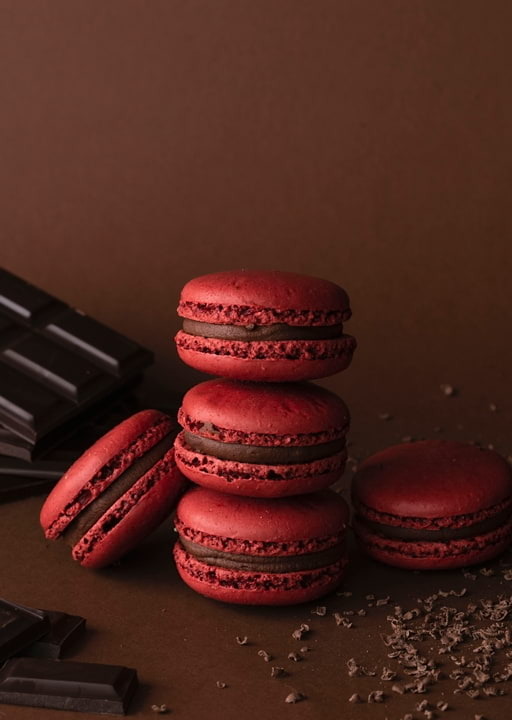 When the Macaron festival was established as a fundraising event in 2005 by French patissier Pierre Hermé, it triggered a worldwide phenomenon, as many urban centers joined in to put their own stamp on the macaron. In recent years, Manila—through Bizu Patisserie—has been showcasing a Filipino twist to the patently French treat. “We’ve had a wonderful run these past 7 years of celebrating the Macaron Festival. Our customers always look forward to trying out the exclusive macaron flavors from Bizu Patisserie,” says Annabel Tanco, founder of Bizu. 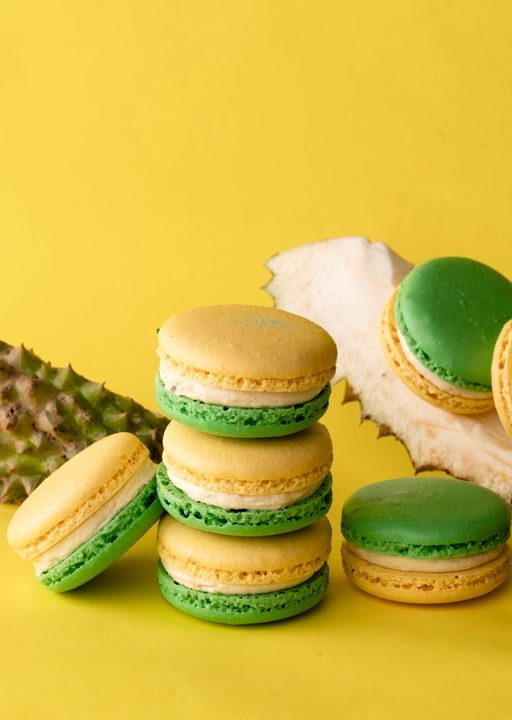 The surprise, for many of Bizu’s customers, is that the soft and pillow-y macarons may pack a flavorful punch, but they’re actually better than the average sugary dessert. “We follow the French tradition, so our macarons are gluten-free. We also take pride in the fact that Bizu Patisserie’s macaron varieties are all made with less sugar, and more almonds,” says Ms. Tanco. The best things in life are free! Your complimentary macaron is waiting at the following Bizu branches on March 23 - Greenbelt 2 Parkside (757-2498), Greenhills Promenade (9036340), Alabang Town Center (809-2498), St. Luke’s BGC (710-4619), Eastwood Mall (781-2524), and Robinsons Magnolia (664-5904). The Macaron Festival runs until April 31, 2019.